Barbour don’t just do great clothing, they also have a range of accessories to go with anything, whether you’re a seasoned Barbour wearer or not. From the usual gloves and scarves, to bags and hats, they provide a wide range of accessories. 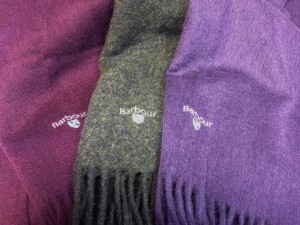 One of the most popular items are the Barbour Lambswool scarves. These come in a range of different colours and patterns, starting with a classic Plain Lambswool scarf in Navy or Red, to tantalizing colours such as Grape and Merlot. The Lambswool scarves also come in a range of Barbour Tartan, which match some of the linings of their jackets. 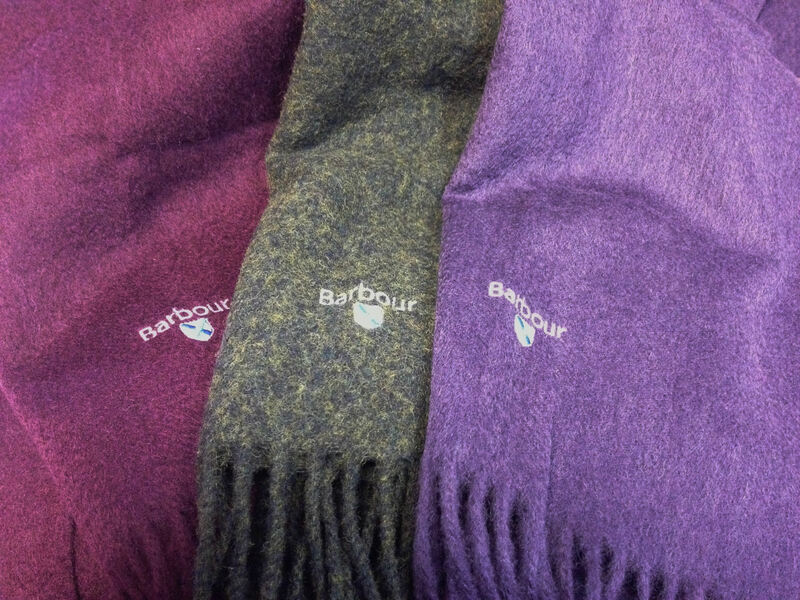 All the Barbour Lambswool scarves feel soft to the touch, and the high quality will keep you warm. 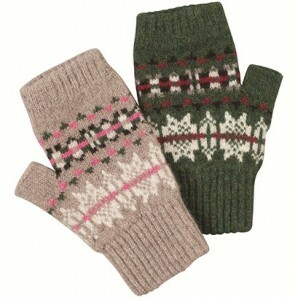 This season the fairisle print is back and more popular than ever, and Barbour are not one to miss out on a trend. 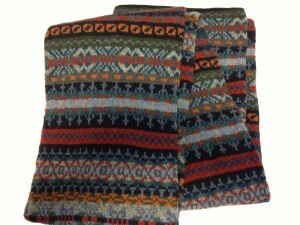 Not only do they have their Laura Fairisle range of hats and gloves, they also have the Melrose scarf which combines the colours and style of the Aztec trend which is also popular at the moment, with a fairisle inspired print. This is a personal favourite of mine due to the pattern, and it is slightly longer and thicker than the Lambswool scarves. Barbour Hats come in all shapes and sizes, from a Flat Cap to a Quilted Wax Hunter Hat, Barbour have created a range of hats for every purpose. Many of their hats come with a fleece lining so that they are functional and fashionable, while others are waterproof for those who spend a lot of time outdoors. Both the Polly Fleece Lined and Crathes Chunky Knit Hat are great winter hats for women and men respectively. 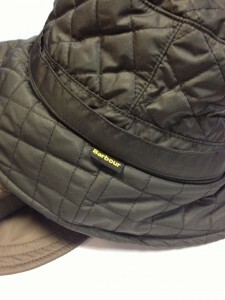 With over 40 Barbour hats in stock, you can view the full range here. And so to gloves. Again Barbour don’t do things by halves, with a range of fingerless, thermal, knitted lambswool and leather gloves to name just a few. Different people will want different things from a glove and in Barbour’s collection there is sure to be a pair to suit you. As with their other products, Barbour bags are high quality pieces, which are designed to complement their other products. One of the big Barbour items of this season are their Morris Quilted jackets and Morris Utility jackets, which feature William Morris designs for the lining. 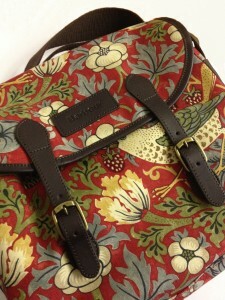 Barbour have taken the Strawberry Thief print and used it for the Morris Print Reiver Bag. This is one of Barbour’s more visually ‘wow’ bags because it is so decadently rich in its design. 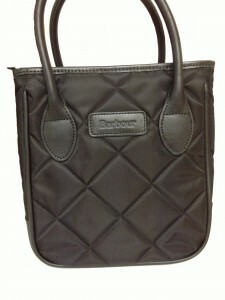 If you prefer a more subtle look, they also do the Quilted Nylon Jenny Tote bag. This bag is versatile in its look and design, and could be used day or night. If you prefer, there is also a tartan version of the Jenny Tote bag. Barbour accessories are a great investment, and are built to last. And if you’re looking for something a bit special this Christmas, there is something in the collection for everyone. accessories, aztec, barbour, Barbour Accessories, Barbour hats, Barbour Lambswool Scarf, Barbour Melrose scarf, Barbour Tartan, fairisle, Lambswool, scarves, winter. Bookmark. How do I clean the inside of my Barbour ladies parka coat it’s wax all over but inside the hood is wool and is starting to look dirty?